A couple going through a divorce must team up to find their son who has disappeared during one of their bitter arguments. 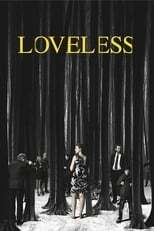 Loveless is directed by Andrey Zvyagintsev and was released on Jun 1st, 2017. Director Andrey Zvyagintsev's Drama movie Loveless is produced by ARTE France Cinéma & Senator Film Produktion & was released 2017-06-01.